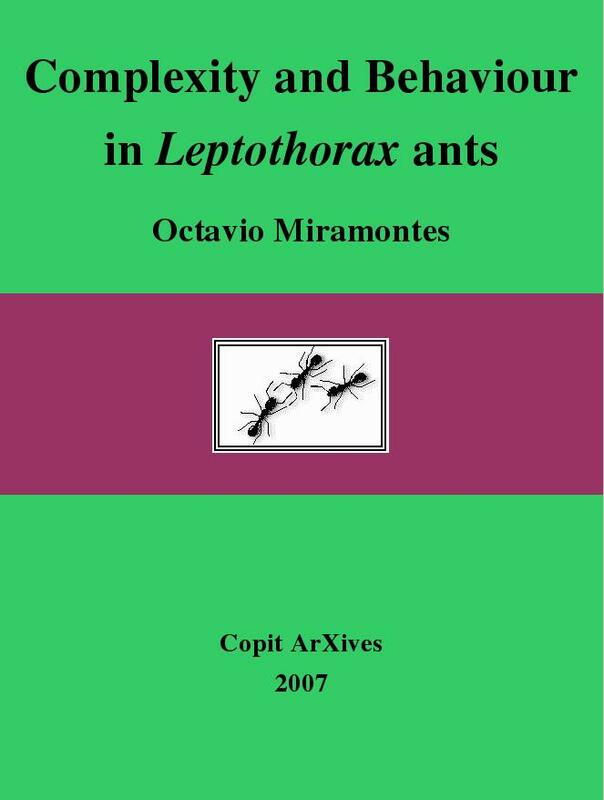 Social behaviour in ants of the genus Leptothorax is reviewed. Attention is paid to the existence of collective robust periodic oscillations in the activity of ants inside the nest. It is known that those oscillations are the outcome of the process of short-distance interactions among ants and that the activity of individual workers is not periodic. Isolated workers can activate spontaneously in a unpredictable fashion. 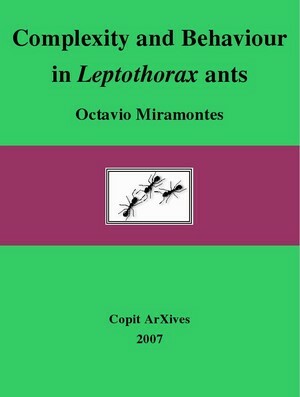 A model of an artificial society of computer automata endowed with the basic behavioural traits of Leptothorax ants is presented and it is demonstrated that collective periodic oscillations in the activity domain can exist as a consequence of interactions among the automata. It is concluded that those oscillations are generic properties common to both natural and artificial social complex systems. Octavio Miramontes (b.1961) is a physicist with a PhD from Imperial College London. He is currently a full-time researcher at the Physics Institute UNAM, in Mexico City where he also serves on the board of directors of the Center for Complexity Sciences. All property rights of this publications belong to the author who, however, grants his autorization to the reader to copy, print and distribute his work freely, in part or in full, with the sole conditions that (i) the author name and original title be cited at all times, (ii) the text is not modified or mixed and (iii) the final use of the contents of this publication must be non commercial.